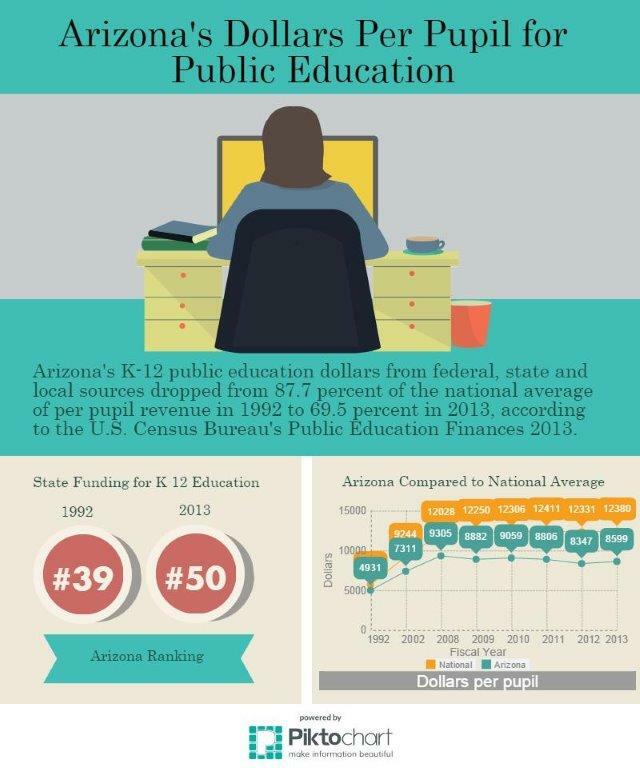 Thanks to years of Republican cuts to the state’s K-12 education budget, Arizona just won the race to the bottom. We are now officially last in nation for K-12 on per student instruction. We pay our teachers the least and we spend the least per pupil on administration. 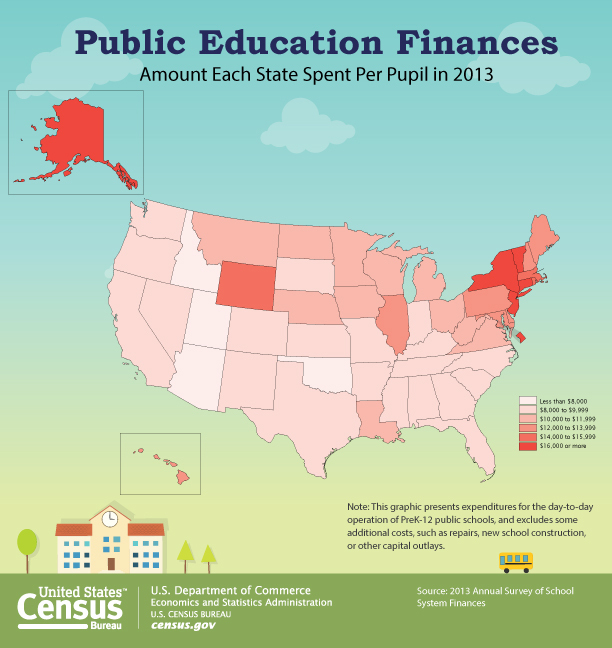 Every other state in the nation spends more on their students. The governor recently announced that he will ask the Legislature to put a measure on the ballot to direct money from the state land trust to classrooms in 2017. Arizona schools need money for classrooms, students and teachers now. This could be one part of a comprehensive plan to increase education funding, but it is not a solution in and of itself. The issues our schools, children and teachers are facing will require a long-term plan to increase investment in our classrooms. What does that say about the priorities of the Republican leaders in this state? 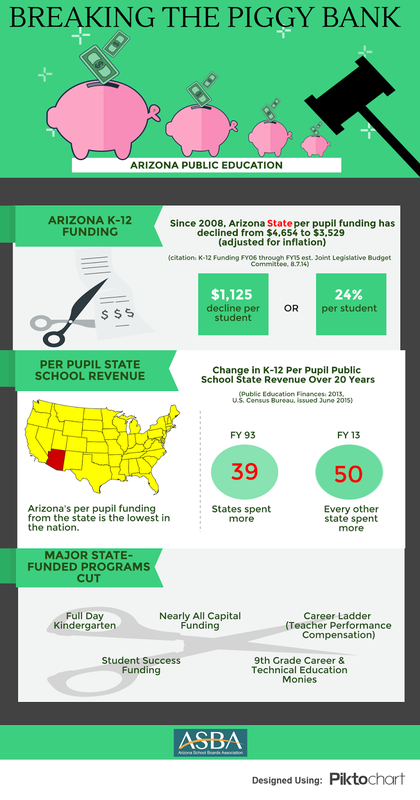 And what can Arizonans expect to see as a result of years of cuts? Changes in classroom sizes and effects on teachers - a former Phoenix Elementary School District governing board member said in a recent interview that the state budget cuts did mean schools had to increase their classroom sizes and freeze teacher compensation. Student safety impacted – some schools will have to scale back facilities maintenance, security guards and shared nurses. This news was released around the same time that the Arizona Board of Regents announced that tuition could increase as much as 4 percent for some new college students, after the Republicans passed a budget that cut $99 million from university funding. A news article quoted Board President Eileen Klein as saying the state budget cuts equaled almost $1,000 per student. All of this will affect the future of our state, which continues to trudge behind the country in economic recovery. Any real plan for lasting economic stability must include a substantial investment in education. Instead, Republicans are protecting and expanding special interest tax cuts and attempting to balance the budget on the backs of Arizona’s kids. It’s time to demand accountability. It’s time to #AskDuceyWhy he hasn’t given us a long-term solution for the education funding crisis. Click here to find ways to get involved and Be Heard!